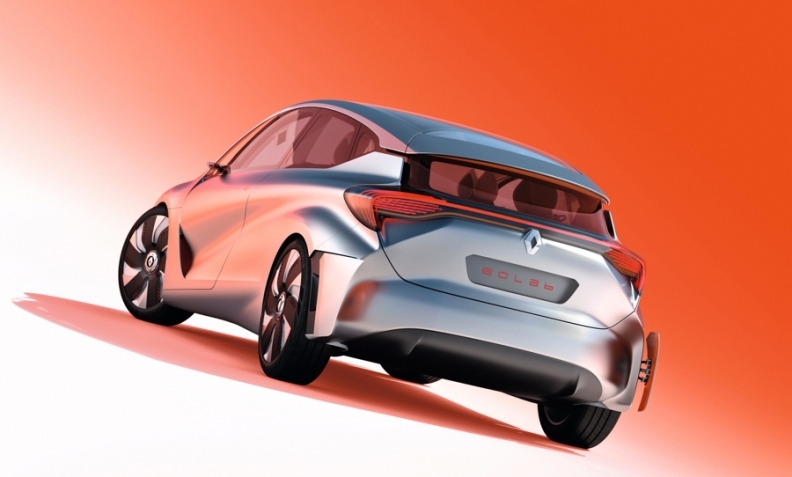 The Renault Eolab concept has design changes to improve its fuel efficiency that may appear on future cars. Proposed changes to how fuel economy and emissions are measured could mean the end of useful-but-ugly side mirrors and other design changes on cars. Steve Remondi, CEO of U.S.-based aerodynamic modeling software firm Exa, told me that EU and the U.S safety regulations have been adapted so that side mirrors can be replaced by cameras that feed the information to screens inside the car. At least one top-level European car designer is keen to make this change happen as soon as possible. Murray Dietsch, program manager for Land Rover, told me that the brand's design director, Gerry McGovern, "is pushing me all the time to take wing mirrors off cars." Exa's Remondi said there are other significant changes that are likely to happen to make cars cut through the air better. "You are going to see smaller and narrower wheels,” he said. Future cars also will have more “active aerodynamics” such as grille shutters that automatically close when the there is enough cool air getting to the radiator, he said, The Ford Focus already offers this in Europe. Renault’s super-efficient Eolab subcompact concept that debuted at the recent Paris auto show is 30 percent more aerodynamic than the automaker’s Clio subcompact because of design elements such as side panels designed to reduce air resistance by optimizing the airflow around the front wheelbase. Remondi says Renault used Exa software to design the Eolab. Exa also helped Jaguar make the XE sedan its most aerodynamic vehicle yet without ever putting it into a wind tunnel. All of these changes are happening ahead of the proposed start of the World Light Duty Test Procedure (WLTP) in 2017 to replace today’s New European Driving Cycle (NEDC). Remondi says the new rules put more a lot more emphasis on aerodynamics as a way of reducing fuel use and emissions. The advantage of computer modeling is that designers can quickly adjust the car’s virtual bodywork to compare airflow that shows up as so-called “glyphs” on a screen. Remondi says carmakers are striving to reach a drag coefficient of 0.20, down from an average of 0.32 now. That would reduce CO2 by up to 20 percent, he believes.